This was an amazing find when we were honeymooning in London (this exact time!) last year. We decided to have a day-out in Camden where there are so many shops and food stalls from around the world that you can spend a whole day there, and still not have uncovered all the treasures it holds. We stumbled across The Chin Chin Laboratorists – Europe’s (and London’s!) first liquid nitrogen ice cream parlour. The interior of the parlour resembles a mad scientist’s experimental lab. There are test tubes and glass bottles everywhere, but the whole parlour looks very modern and fresh with the square wooden hangings, the white washed walls and the staff all wearing white lab coats! The Chin Chin Laboratorists have the making of ice-cream down to a fine art. We requested vanilla ice cream, and using a free-standing mixer, liquid nitrogen, goggles, gloves and some deliciously blended vanilla cream….we had ice cream in a matter of seconds! The cream freezes so quickly that there are no time for ice crystals to form, giving you the smoothest ice cream in the world! I felt like I was watching a really amazing science experiment! 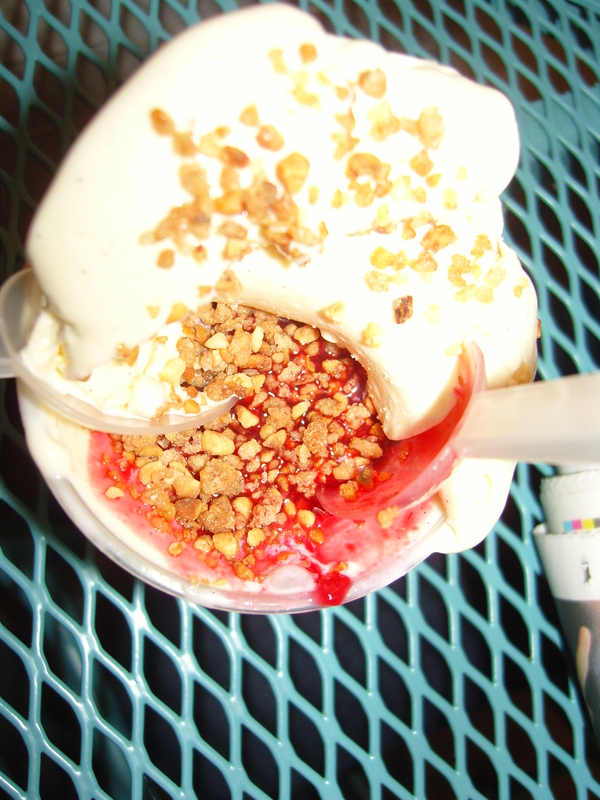 Toppings came in test tubes, and we chose to have crushed hazelnuts and raspberry coulis! They had a few little garden chairs and tables round the corner which weren’t busy so we tucked ourselves in a corner and whole-heartedly enjoyed our ice cream! 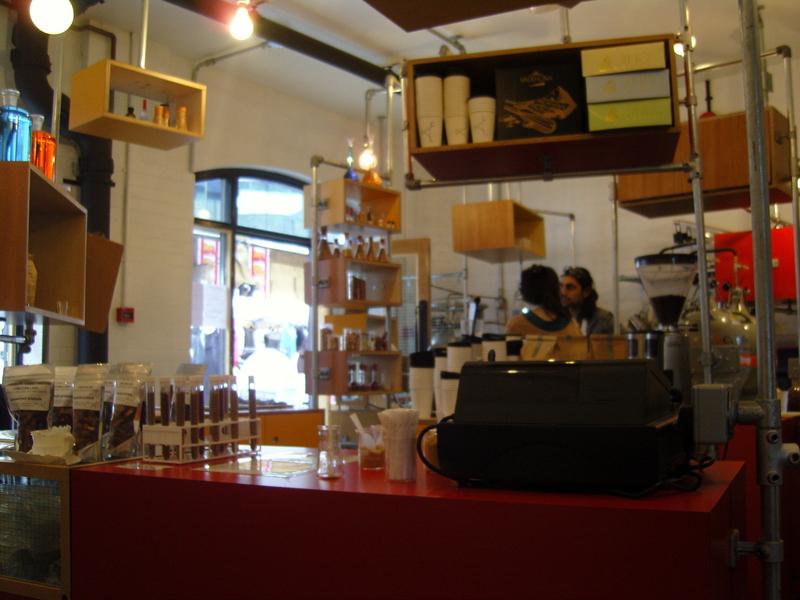 The Chin Chin Laboratorists can be found at 49-50 Camden Lock Place (the nearest tube is Camden Town). Science and Ice cream? This place sounds amazing. i will have to take a week of my local food blog and go to Camden. Thanks for making us aware of it!